This is the ultimate holiday shopping guide for the Hot Mess Mom. And, it’s written by a proud, hot mess mom! Cheers to the Hot Moms in our lives! And, happy holidays! *This post originally appeared in November 2017 and has been updated with more recent information. After spending 10 minutes looking for my keys last year, only to find them in the hood of her coat that she was wearing–don’t ask–I purchased the Tile. Tile makes their key finder in several designs and sells as multipacks. They now make them with replaceable batteries. How does it work? Download the app to your smartphone and attach the tag to your keychain, purse, or anything else you want to keep tabs on. They even make slim tiles to slip into your wallet or attach to laptops, kindles, or anything of value. Even better if you have an Apple Watch, you can use your watch to ping your phone and then use your phone to ping your keys, which I may or may not do at least five times per day. Imagine all the time your loved one will get back without having to find her keys. From the same company that brought you the Roomba, you can now get a robot mop! We have hardwood floors all over my house. I’ve had a Roomba since I added kids to the mix. I can’t live without it. This mop is number one on my list this year. Most days, I’m either drinking cold coffee or reheating my coffee in the microwave. This insulated mug keeps your drinks either hot or cold for hours. Read the reviews. People love this mug. 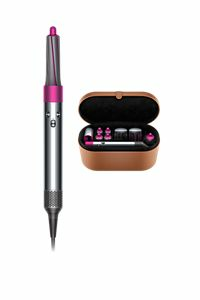 While researching the expensive Dyson Supersonic Hair Dryer, I came across the Revlon One-Step Hair Dryer. I’ve been using it for months and it’s life-changing. I don’t use it every day but when I do, I get salon-style hair. Tip: dry your hair naturally or quickly get at the roots with a regular hair dryer first. It gets hot. I use a protectant and my hair has remained in great condition. If you’re looking for a splurge item, consider the Dyson Air Wrap. Yes, it’s pricey. But for someone who gets a ton of blowouts, this makes a great gift. It comes with a ton of attachments to take your hair from wet to styled. 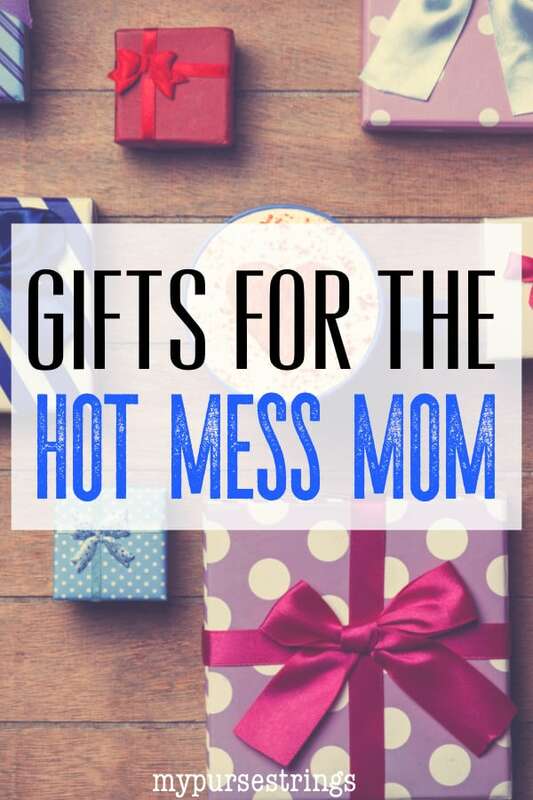 By definition, the Hot Mess Moms runs all day long, trying to get it all done. Fact: Hot Mess Moms don’t wash their hair every day. Hot Mess Moms may even workout without shampooing their hair afterward (gasp). Whenever I use this dry shampoo, my daughter tells me that I smell nice. 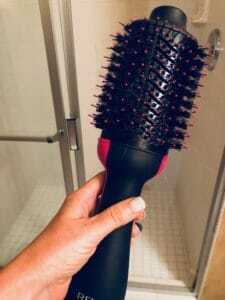 Another time-saver beauty product for moms from the same line is the In-Shower Styler which helps my hair to air dry into manageable waves rather than frizz. Hot Mess Moms sport messy buns. They don’t always start off the day with a messy bun. If they’re like me, their accessory of choice is a hairband around the wrist. Not always the best look. This ingenious bracelet holds your hairband but looks like a beautiful gold or silver bracelet. Hot Mess Moms don’t have time to treat themselves to weekly manicures. This top coat nail polish makes the perfect stocking stuffer. Although it’s marketed to use with the Sally Hansen Miracle Gel line of nail polishes, painting this top coat over any of your favorite brands extends the life of your home manicure. Mine has personally lasted over two weeks. I live in my Ugg slippers. These slippers can be worn inside or out, which is perfect for the Hot Mess Mom who may accidentally wear her slippers to the bus stop or to the supermarket . . . so, I’ve heard. Wink, wink. Barefoot Dreams makes the coziest cardigans, blankets, ponchos and lounge pants. It’s basically like wearing a blanket with style. And what Hot Mess Mom doesn’t want to wrap herself in a blanket? This is one of the hot gifts of the season. Let’s face it, half of parenting involves a hack of some kind. Bribery and hacks. This book is geared more towards parents of babies and toddlers, with tips ranging from organizing a playroom to interesting ideas on repurposing your child’s artwork (besides the recycling bin).